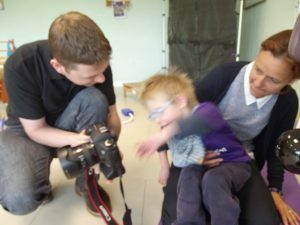 Thank you to Greg from Photography for Little people, Bristol for taking our lovely new photos for our website in June 2016. Greg took time out of his working week to spend a day with us at Bedminster Down, Bristol taking a range of incredible photos on his own time. Thank you to Photography for Little people for editing and providing the photos at a cut price and for offering a special deal and donating to Conductive Education Bristol for each gorgeous framed print bought by the families. Thank you for a lovely day; the kids had great fun posing for all the pictures!